Former deputy prime minister Arkady Dvorkovich was approved as chairman of the Skolkovo Foundation at a foundation council meeting on Thursday. Dvorkovich was earlier this year appointed to the position of co-chair of the foundation council, a role he continues to share with Skolkovo Foundation president Victor Vekselberg. 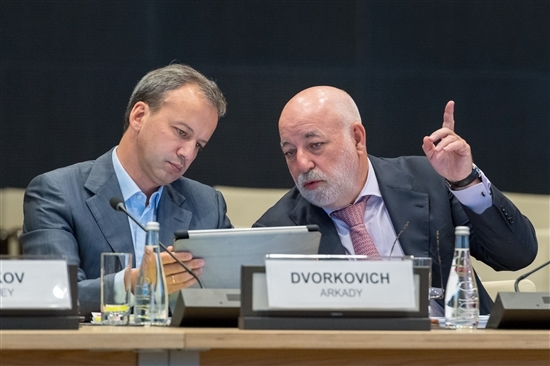 Skolkovo Foundation council co-chairs Arkady Dvorkovich (left) and Victor Vekselberg. Photo: Sk.ru. 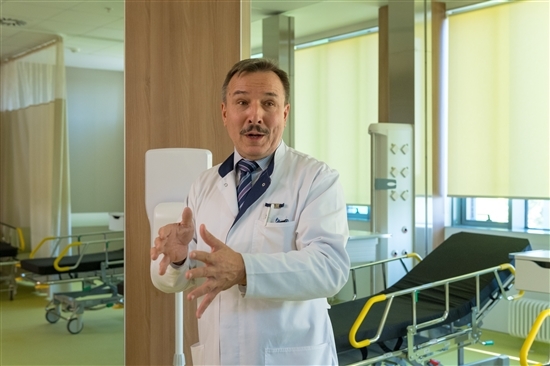 “We are getting a very professional and knowledgeable person who will bring our project a lot of positive new support,” Vekselberg told the council meeting, which was for the first time hosted by the newly opened Moscow International Medical Cluster (MIMC). Dvorkovich, who previously oversaw the foundation in his capacity as a government official, said Skolkovo would continue to develop its international partnerships. “There is interest in Skolkovo activities by all major companies that I have had discussions with in the U.K., France and Italy, so I think we can renew our efforts to construct international partnerships within the Skolkovo project in all aspects in our work,” he told the council. Vekselberg noted that the foundation was not only looking to the West, but to the East too, having taken part in the Eastern Economic Forum held in Russia’s Far Eastern city of Vladivostok last week. “[The Skolkovo stand] was very popular,” Vekselberg told the council. Ahead of the council meeting, members had the opportunity to tour the newly opened Hadassah clinic at the MIMC. Photo: Sk.ru. Ahead of Thursday’s meeting, council members had the opportunity to tour the MIMC’s first facility, a state-of-the-art diagnosis clinic opened by the leading Israeli hospital Hadassah. The MIMC covers a total of 54 hectares, and its construction is due to be completed by 2023, Ildar Khairullin, deputy director of the MIMC, told the meeting. The cluster will comprise three aspects: clinical, educational and R&D, he said. Planned facilities including a biomed technopark, a medical university covering 20,000 square metres, and 30,000 square metres of lab space. Noting that the Hadassah clinic is already home to Skolkovo resident Eidos’ surgery simulators, Khairullin said that the MIMC is keen to find synergy with Skolkovo residents working in fields related to medicine. “The MIMC is an extremely important element of our ecosystem and we are happy to have them as a partner,” said Vekselberg. “We have already established a very constructive and efficient relationship with the cluster’s management, and we are open and transparent in our cooperation; this will be a key element of success in the future,” he said.